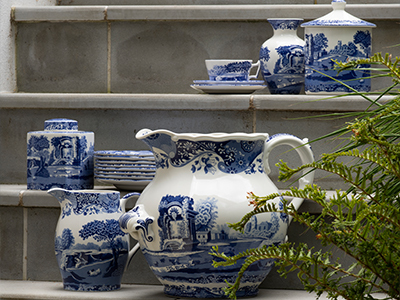 A true British classic, Botanic Garden was designed by the celebrated designer Susan Williams-Ellis. 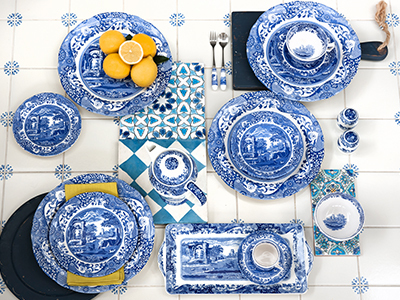 Botanic Garden's delightful mixture of pretty floral motifs and signature leaf border set a new trend for casual dining in the 1970s and today Botanic Garden looks as pretty as a daisy. This delightful Botanic Garden Canton Vase comes in a variety of motifs and is a beautiful with or without flowers. https://www.spode.co.uk/portmeirion-botanic-garden-canton-vase-7-inch-garden-lilac 15127 Portmeirion Botanic Garden Canton Vase 7 inch Garden Lilac https://www.spode.co.uk/media/catalog/product/B/G/BGHX58100.jpg 30 30 GBP InStock This item is made in Stoke-on-Trent, England. 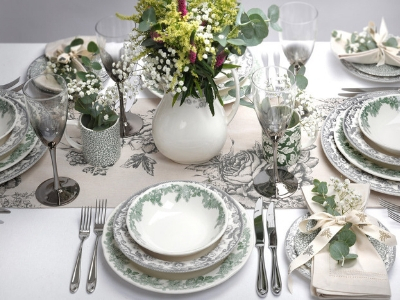 A true British classic, Botanic Garden was designed by the celebrated designer Susan Williams-Ellis. Botanic Garden's delightful mixture of pretty floral motifs and signature leaf border set a new trend for casual dining in the 1970s and today Botanic Garden looks as pretty as a daisy. This delightful Botanic Garden Canton Vase comes in a variety of motifs and is a beautiful with or without flowers.